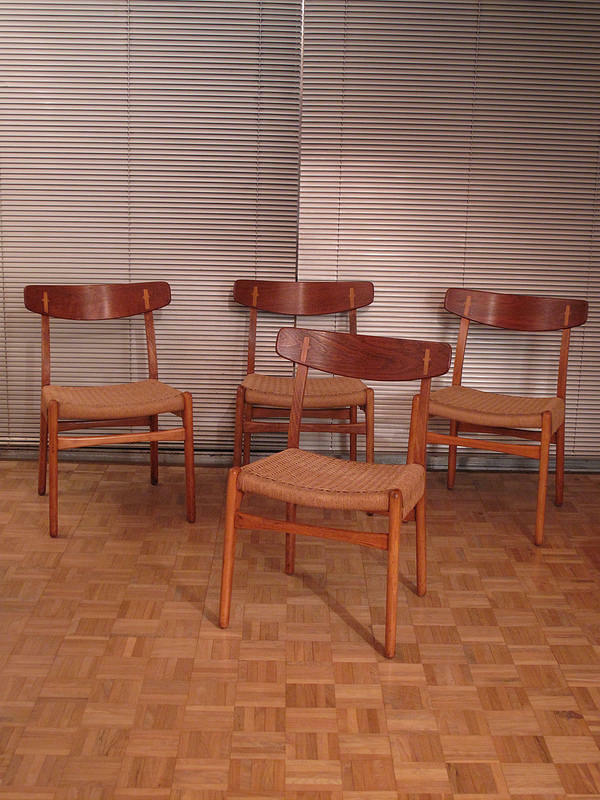 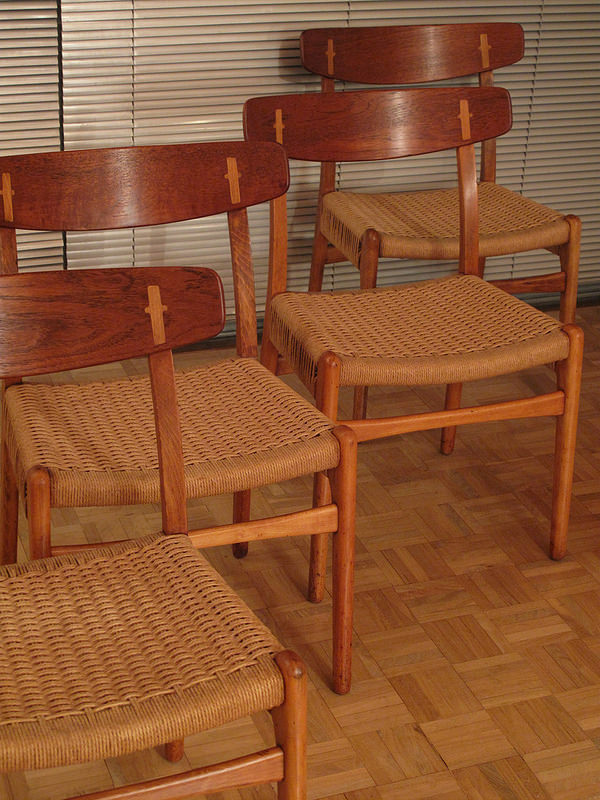 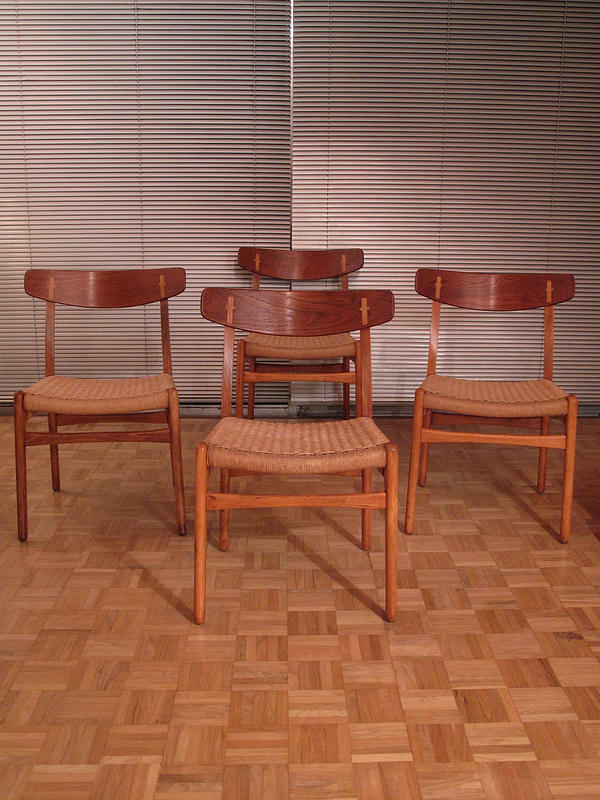 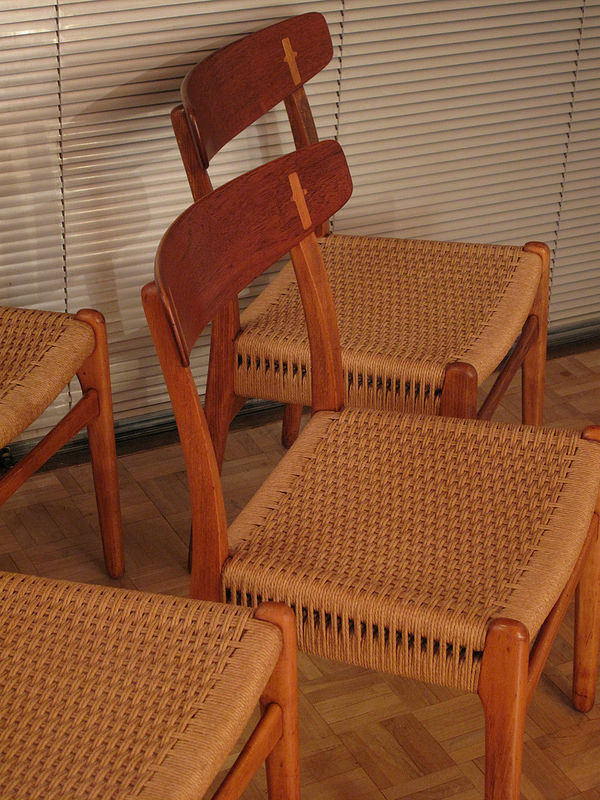 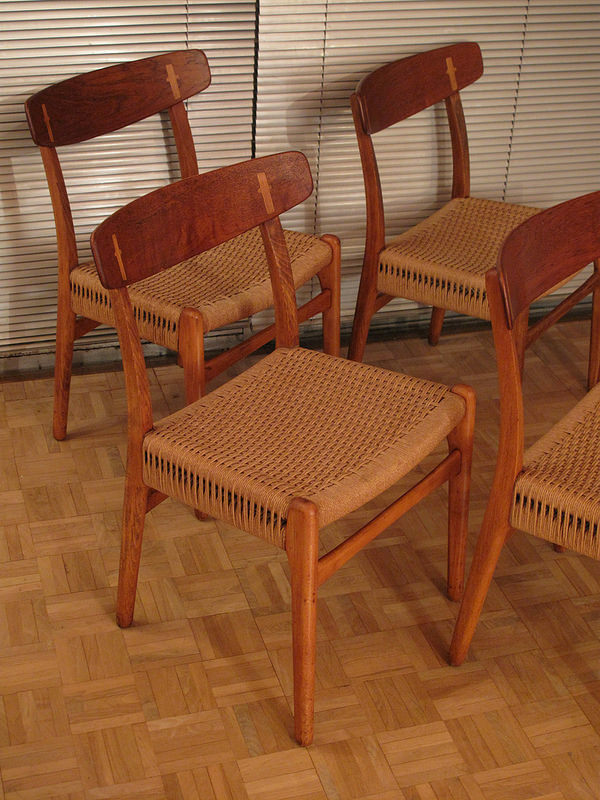 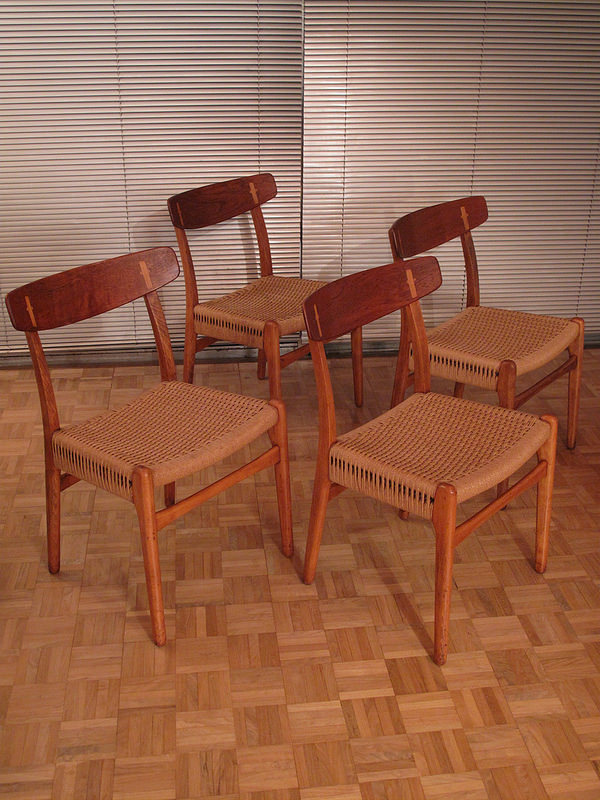 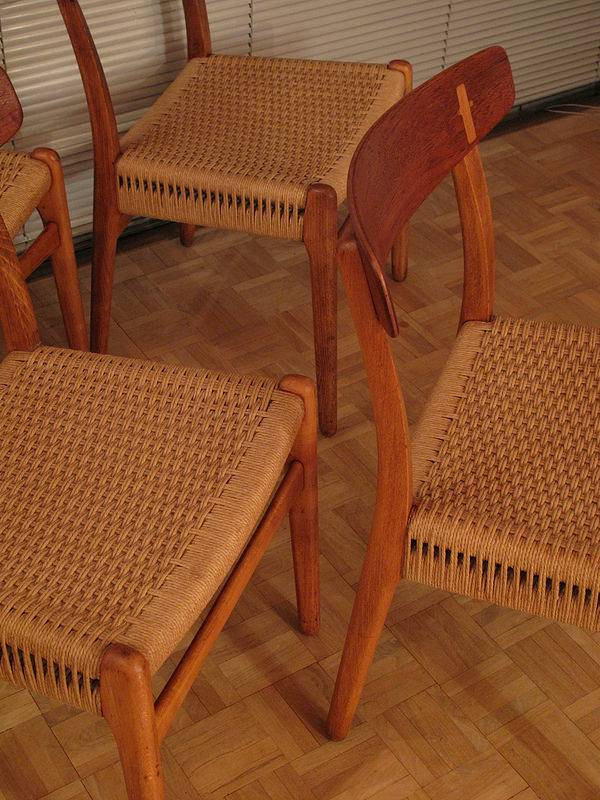 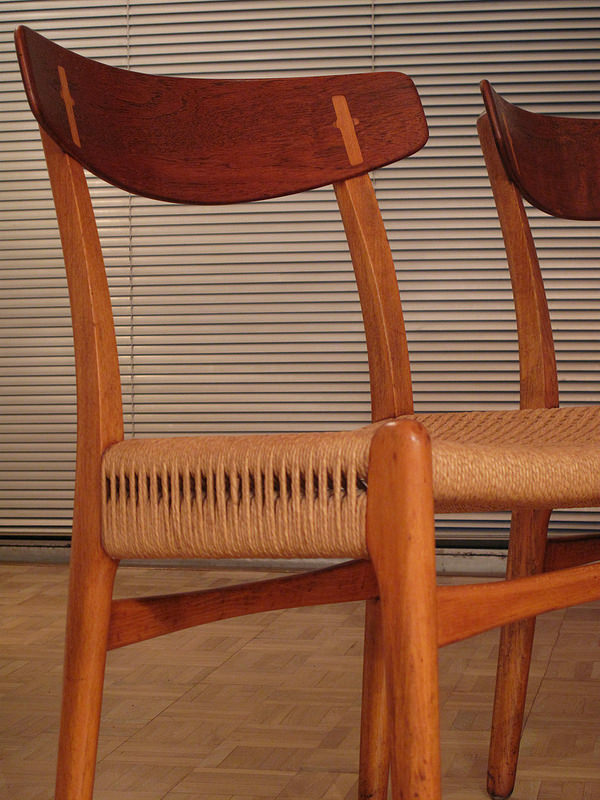 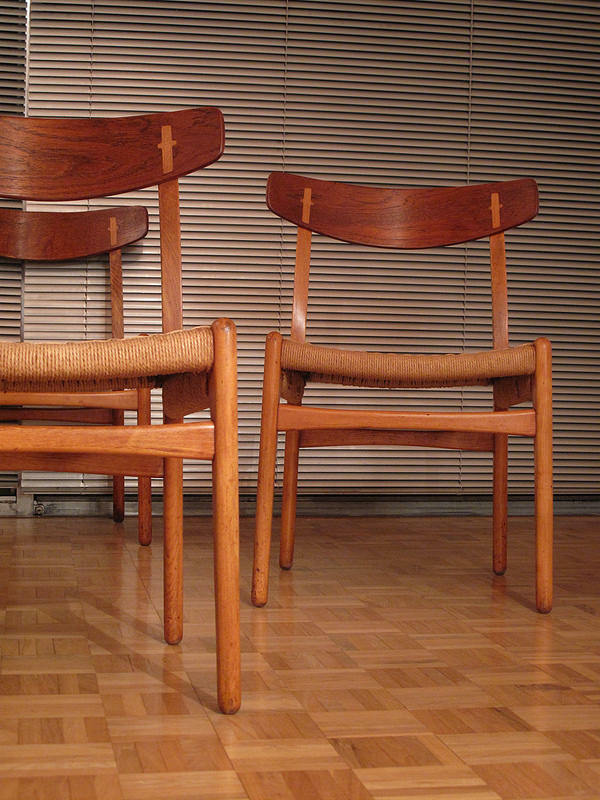 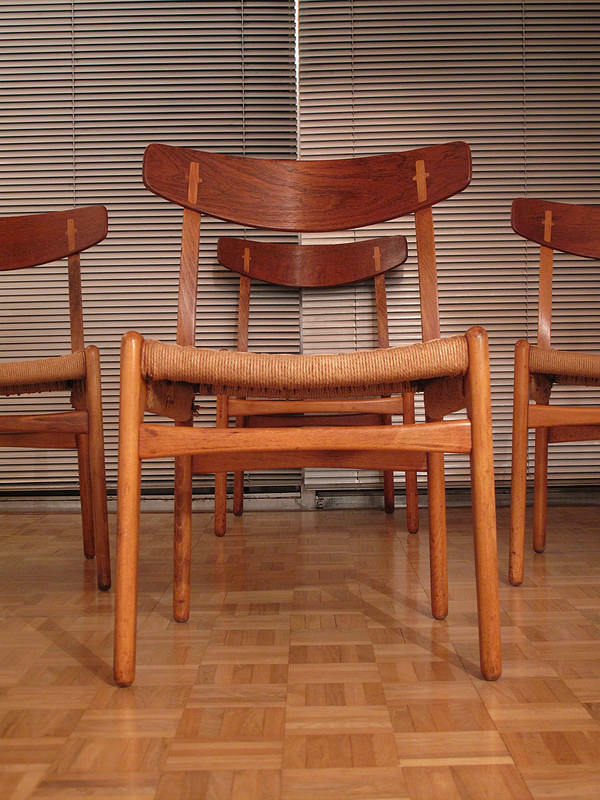 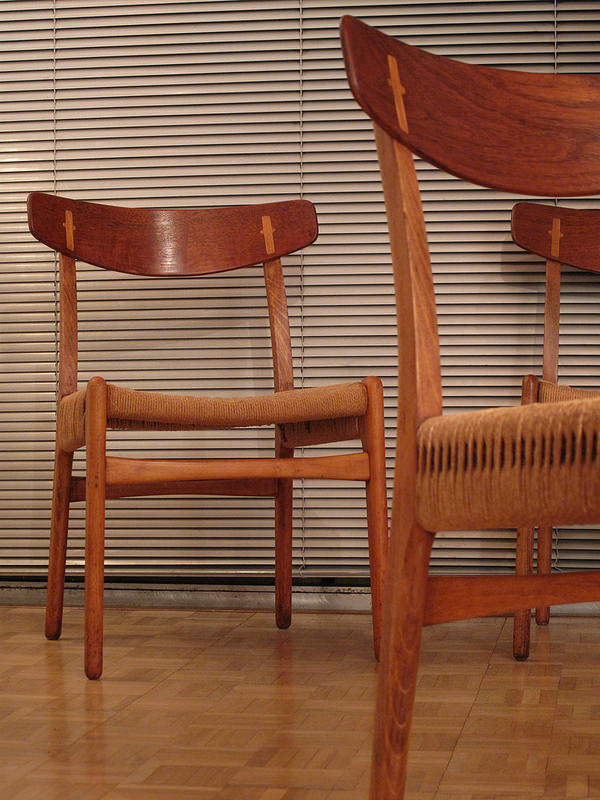 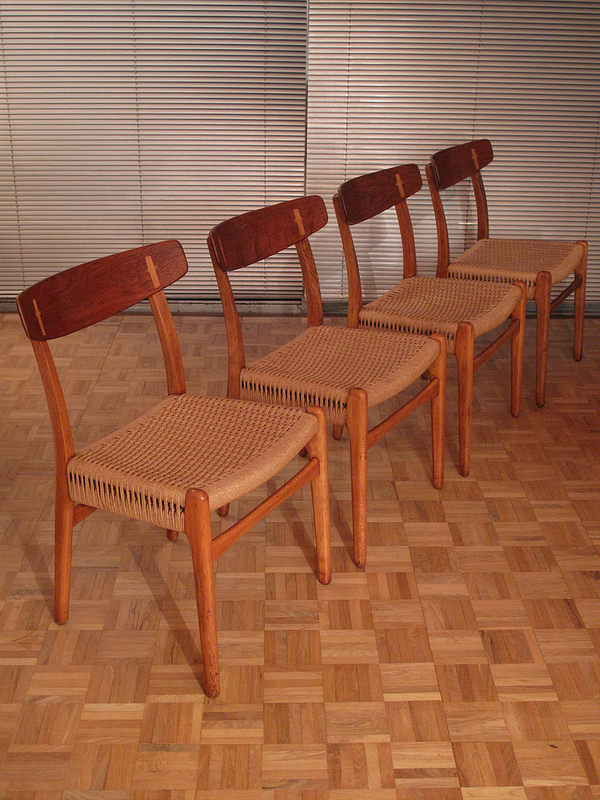 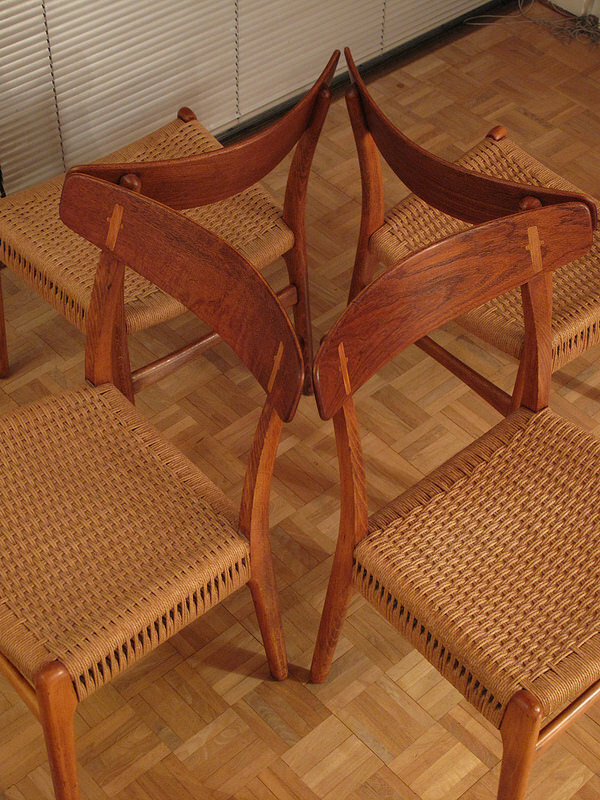 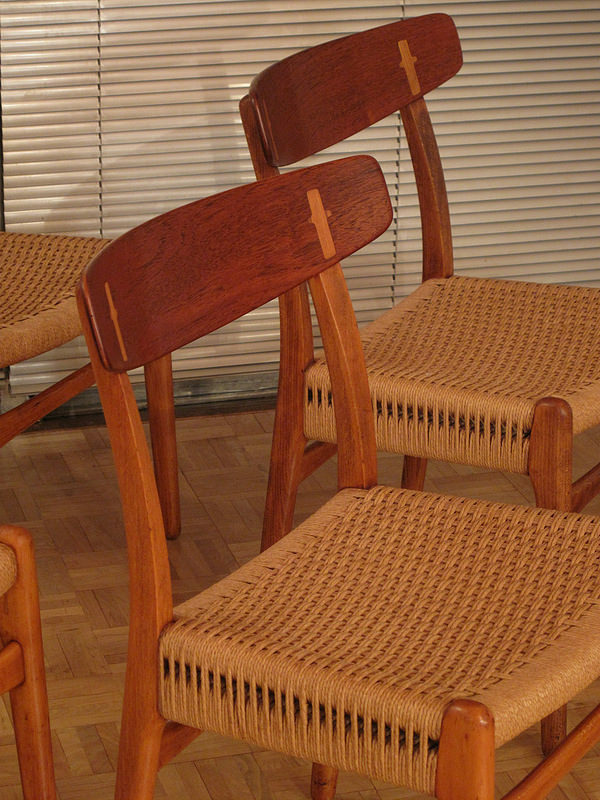 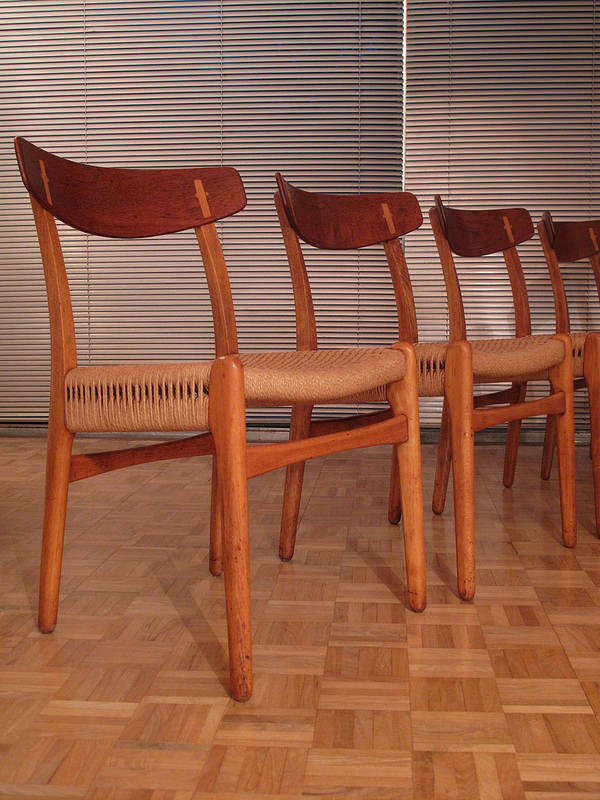 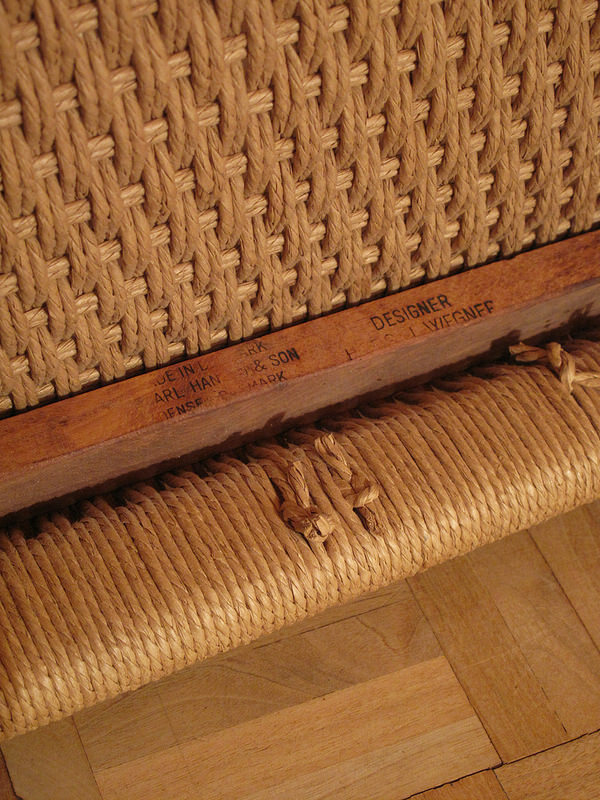 A wonderful set of four original early production CH-23 chairs designed in 1950 by Hans Wegner. 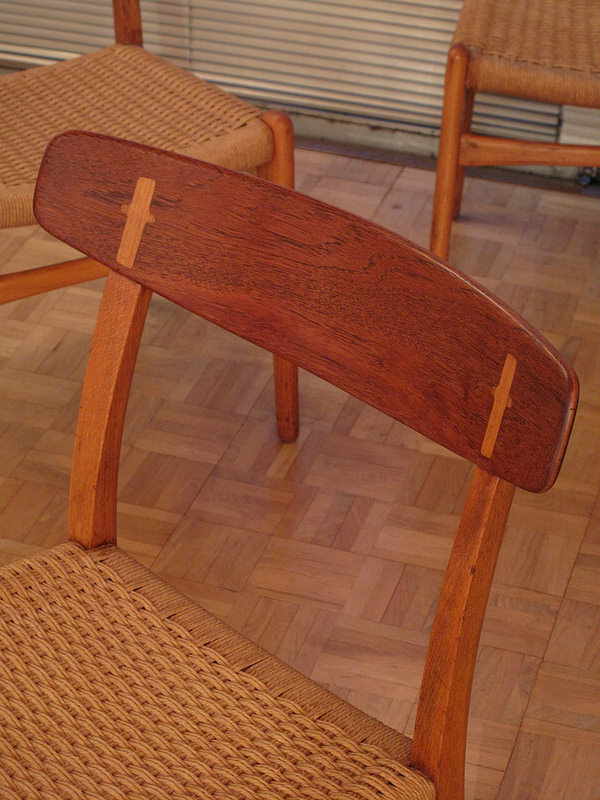 Crafted from solid Beech with contrasting Teak with beautiful detailing such as the unusual double side rail forming a pleasing pattern to the Danish cord and cruciform inlays in contrasting timber within the backrest. 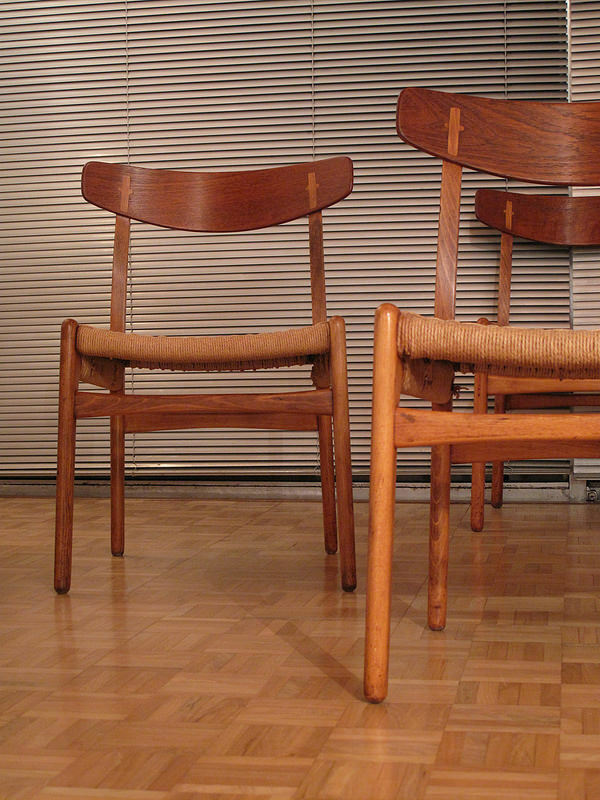 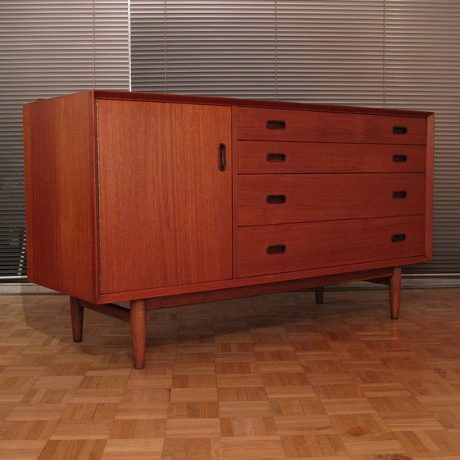 Produced by Carl Hansen & Son, Denmark. 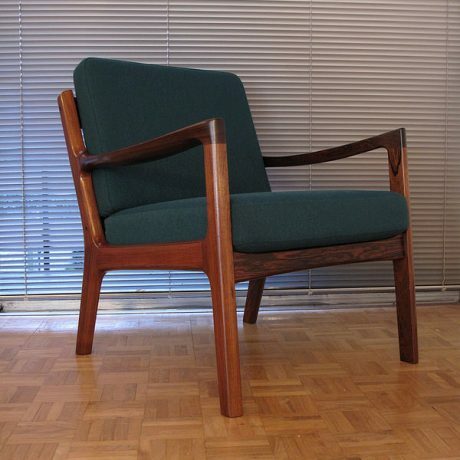 Top quality chairs and incredibly comfortable. 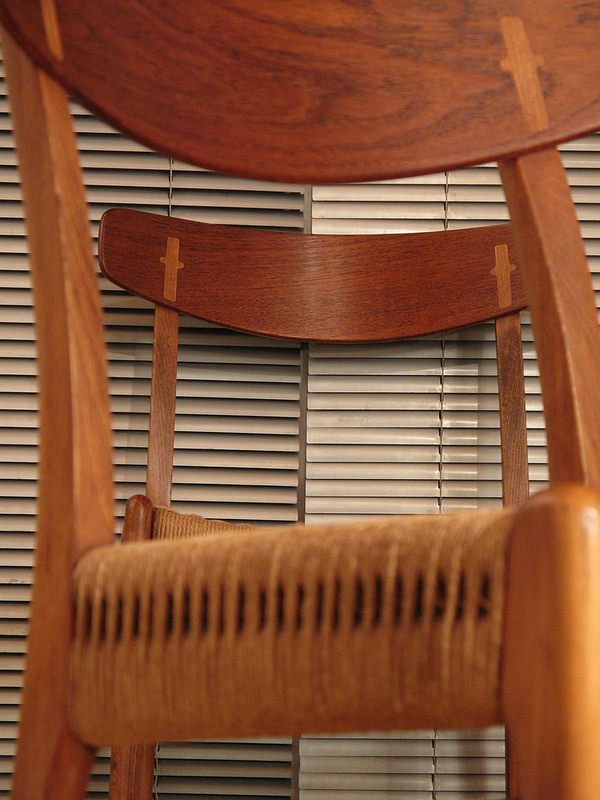 DIMENSIONS: 76cm High x 52 Wide x 45 Deep x Seat Height 42.